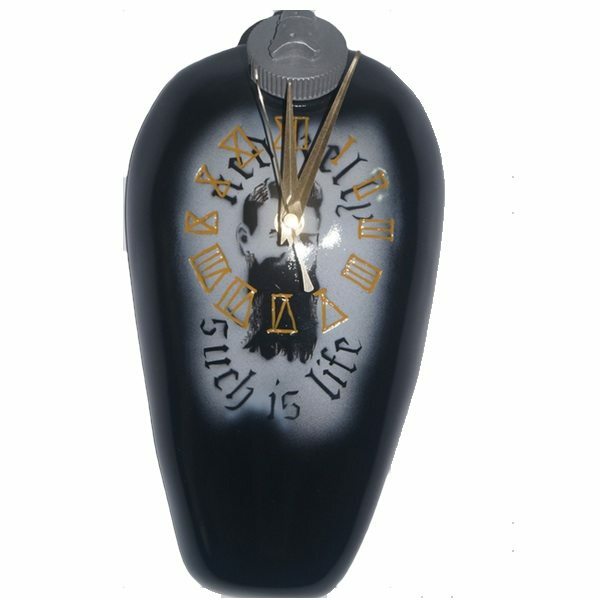 with base is shaped as a bike tank and is painted with a tough glossy finish, it sits on a woodgrain finish resin base, it is also available without a base which can be found in the clock section on the website. 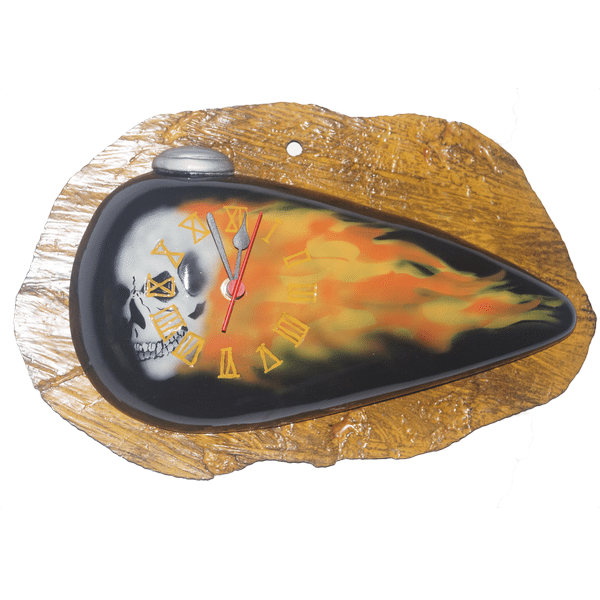 The clock is available with black background, the haunting skull appears through a flame which has been air brushed on the clock (tank) face. 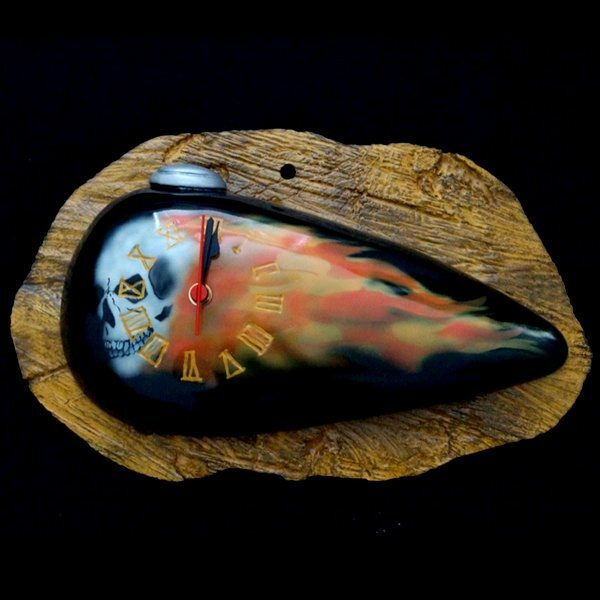 Grant makes moulds for the clocks (which he constructs from polyurethane resin) and air brushes them to get the great finish and fine artwork that make this item a stand out. 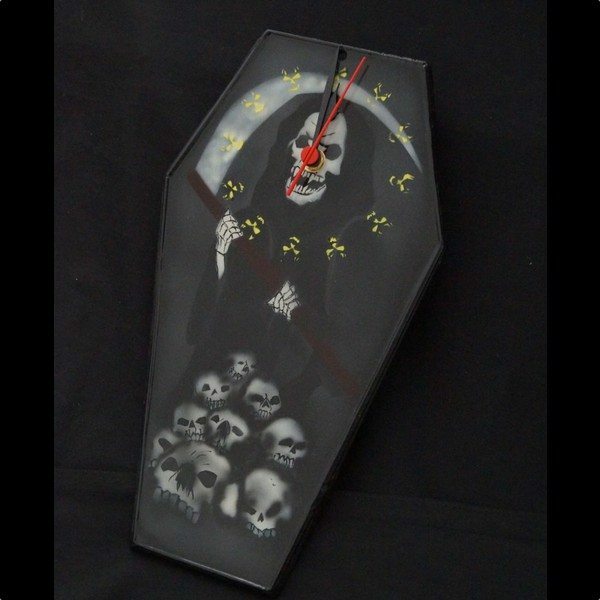 The clock features a quality battery operated mechanism and comes complete with inbuilt easy hanging. With a choice of two colours the clocks should enhance any decor to which they are added. 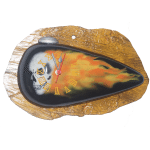 Be the first to review “Skull Flame Clock with base” Click here to cancel reply.